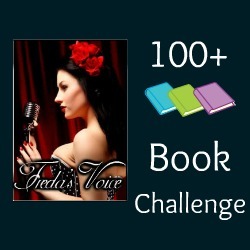 Though I could not complete it last year, I am challenging myself to read 100+ books this year and thus once again signing up for the 100+ Book Challenge hosted @ Freda's Voice. Ready to challenge yourself? Then sign up for it. We have a lovely hostess who encourages us by reading and commenting on the books reviewed. Welcome back, Neer! I hope you attain your goal!